Beijing’s tallest tower hosted the fifth stage of the nine-race Vertical World Circuit up the 82 floors and 2,041 steps today. 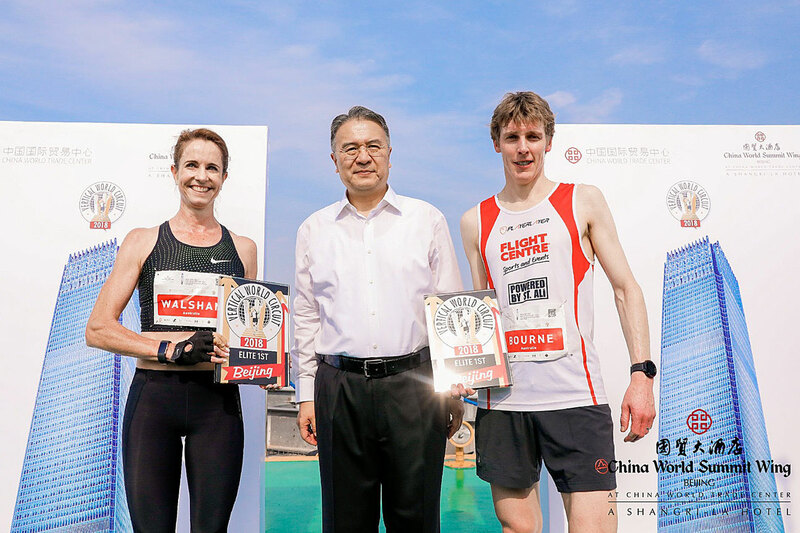 Australians Mark Bourne and Suzy Walsham took the day in a field of more than 700 participants at the sixth edition of the China World Summit Wing Beijing Vertical Run. 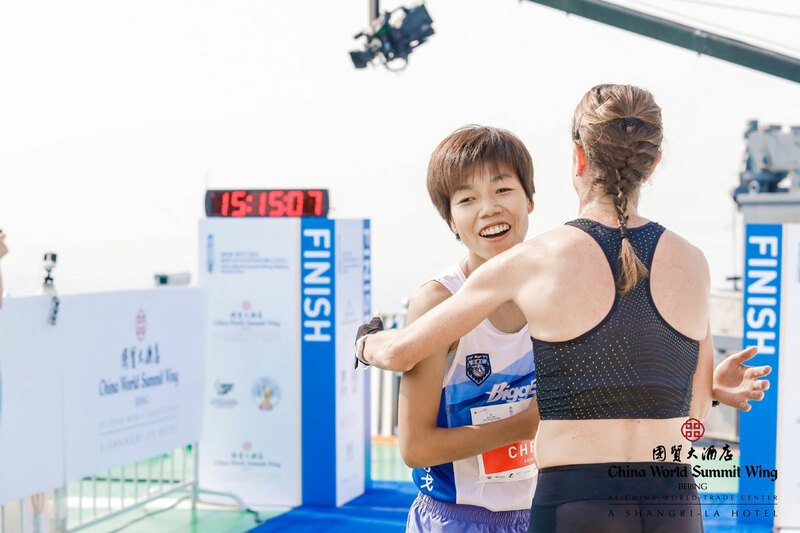 Twenty-three top ranked runners from eight countries took part in the elite field which included the world’s number one skyscraper racer, Australian Suzy Walsham who boasts, among others, six VWC World Champion titles to her credit. An invincible Walsham was pleased to finish under her 12’ forecast in 11’58” – just 6 seconds short of her 2013 record of 11’46”. The rest of the podium was all-Chinese with Linming Chen in second and Muhua Jian, third. Australia’s Mark Bourne, 2013 VWC World Champion, was unable to attend last year’s race due to injury but this year, he came out, literally, on top. “It feels amazing to win, after missing out on last year’s race,” Bourne said. “This is an amazing race with an amazing hotel and view of Beijing, I feel on top of the world!” he exclaimed. Japan’s Ryoji Watanabe closed just three seconds later followed by LianLiang He from China in third. The men’s record stands at 9’47” set in 2016 by VWC World Champion Piotr Lobodzinski. An extra 25% bonus points were awarded to athletes competing on the Vertical World Circuit ranking based on five out of nine races. With his sixth place today, Belgian Omar Bekkali now climbs to the top of the VWC ranking, followed by Piotr Lobodzinski and LiangLiang He in third. Walsham maintains her lead followed by Rosalyn Russell from the Philippines, now in second while Italy’s Cristina Bonacina slides to third. 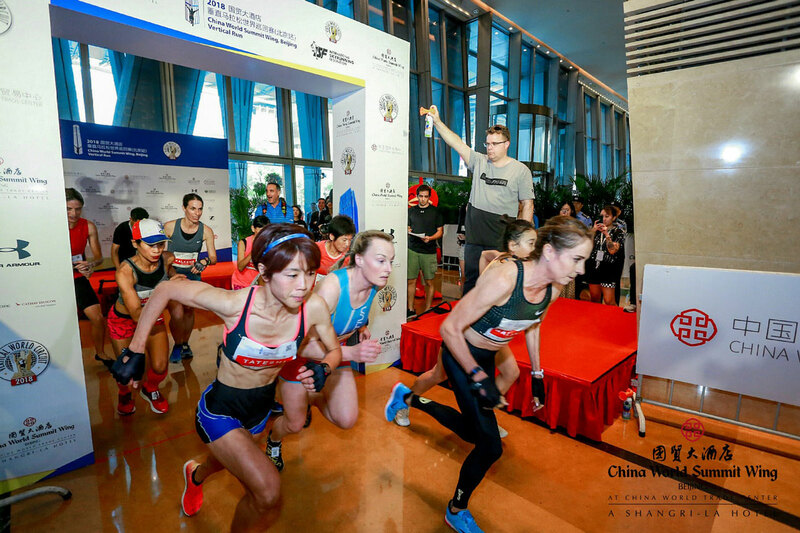 The circuit now moves on to the SHKP Vertical Run for Charity: Race to Shanghai IFC on October 14 where once again the world’s top skyscraper racers will take up the vertical challenge. 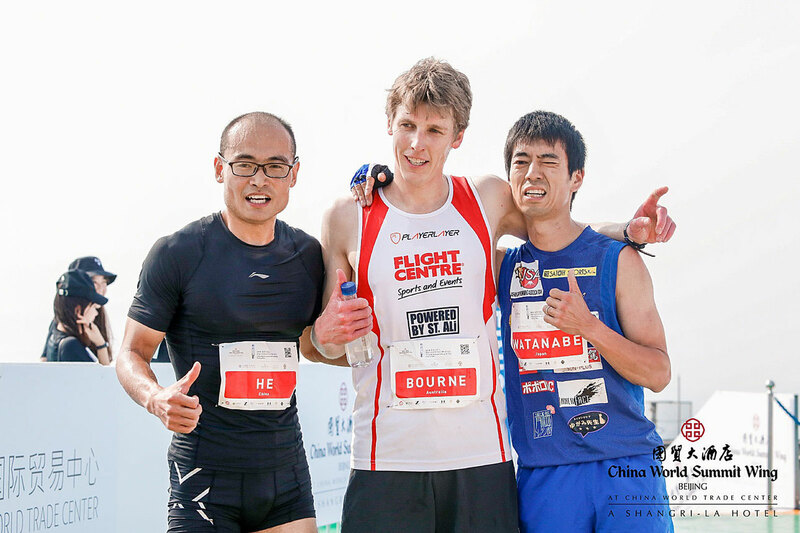 Governed by the International Skyrunning Federation, Beijing’s tallest vertical run was yet again selected as Official Race for the 2018 Vertical World Circuit (VWC), the world’s premier skyscraper racing circuit uniting some of the most iconic skyscraper races.